A collection of drone music feat. Keith Berry, Fear Falls Burning, Dronæment, Troum, Jeffrey Roden, Paul Bradley, Steve Jolliffe, Column One and Richard Lainhart! This collection of dense atmopsheres features a former member of Tangerine Dream and offers you the chance to listen to the world premiere of a long-lost thirty year old gem by an early synthesizer pioneer - as well as exclusive tracks by seven influential artists from the field of contemporary drone music. 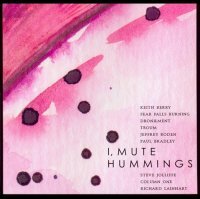 “I, Mute Hummings” combines the Zen-inspired timelessness of Keith Berry, the circulating guitarspots of Fear Falls Burning, Dronæment's welfare mix of vinyl crackling with mumbling ether, Troum's excursions into human dreamscapes and on the other side Column One's fluttering and sawing machinery. In between rest the well balanced works of Jeffrey Roden, Paul Bradley and Steve Jolliffe. Roden creates a whole aural landscape with his bass guitar alone. It's like walking through a drony barnyard. You can simply HEAR the fresh air. It all gets more and more closed with Paul Bradley's contribution. Like Berry's piece this one conjures up floating images - ceaseless waves of drones. Steve Jolliffe - who played on Tangerine Dream's 1978 output "Cyclone" - is an old stager of electronic music and here his wonderful flute-sketch sinks deeper and deeper into the hissing maelstrom of digital glitches. But manages to reach the saving shore where Richard Lainhart - a pioneer of Moog-music - closes this collection with an exclusive rework of his stunning "White Nights". All featured titles are previously unreleased! "Workmanlike Ambient compilation from a new label set up by Tobias Schmidt [sic!] and Mirko Uhlig, each of whom contributes a remix to the nine track collection. Mostly steering clear of New Age slop (though not always - step forward, ex-Tangerine Dream flautist Steve Jolliffe), it's rewarding for the variety of approaches it showcases. There are some fine digital landscapes from Keith Berry, Dronæment and Paul Bradley (the latter an occasional member of Colin Potter & Darren Tate's Monos). There's also some pleasant, if somewhat underwhelming instrumental work from Belgian guitar/analogue effects exponent Dirk Serries (operating as Fear Falls Burning, a singularity inappropriate moniker for such pastoral sounding music), along with Jeffrey Roden, who uses only bass guitar to produce his wide palette of lush, accessible sounds - just don't call him The Fish. At the other extreme, Berlin duo Column One's piece for massed scraped string glissandi makes for decidedly uneasy listening. Real fingernails down the blackboard stuff, but very well executed. There's strong work, too, from Troum, who have been active in one form or another for almost 20 years now, and whose contribution evinces their deft and imaginative control over their resources. Based on organic but unidentifiable sounds, it achieves a plateau of mantra-like calm but never lapses into stasis. Finally, Moog pioneer Richard Lainhart contributes a remixed excerpt from his gorgeous 1974 drone piece "White Nights", which manages to suggest both Tony Conrad's violin overtone marathons and the tape loop section from "Close To The Edge". I know that's the second Yes reference in this review, but it really does." "Der Titel dieser Compilation weist den (musikalischen) Weg, denn hier dominiert das Gedämpfte, Reduzierte. Ob dunkle Drones, bei denen am Ende das Rauschen des Windes mit dem Geräusch von Wasser kombiniert wird (Keith Berry), melodische Gitarrenexperimente (Fear Falls Burning), Zirpen und Knistern von Dronæment, das sehr düstere Stück von Troum, das im Erdinneren aufgenommen worden zu sein scheint und was die Stimmung anbelangt sehr weit von der Harmonie ihres Beitrags zur aktuellen Brainwashed-Compilation ist - alle beteiligten Künstler steuern atmosphärische Tracks bei, die ohne allzu große Gesten auskommen.Lediglich Column One verwenden einige fiese fiepsende Störgeräusche, wobei die CD mit Richard Lainhart dann melodisch ausklingt. I, Mute Hummings ist eine gelungene Compilation, die in ihrer Homogenität noch heterogen genug ist, um den Spannungsbogen durchgängig aufrecht zu erhalten." So with that sort of high caliber collection of dronelords, we hardly need to tell you what a gorgeously dark, ominously rumbling, dreamily whirring selection of tracks this is, but what the heck, we will anyway. Keith Berry starts things off with a warm, black tinted shimmer, densely layered, but seemingly weightless, a dark subterranean drift, laced with barely there, almost recognizable field recordings buried way down in the mix. Next up is maybe the greatest Fear Falls Burning track ever. Weird spacious affected guitars, not heavy or distorted, but instead glistening and prismatic, caught in a dreamy delay drenched loop, floating like some disembodied fragment of a long lost Morricone spaghetti western soundtrack, and nestled amidst long golden tendrils of lazy late afternoon fuzz. Dronaement offer up a lengthy soundscape of simulated field recordings, record crackle and murky glimmer underpinned by a distant rhythmic whir and wrapped in a gauzy dreamlike atmosphere. Then AQ faves Troum take over with one of their most ominous pieces yet, a gurgling bass heavy cavernous trawl through some dark hellish underworld, still shimmery and soft focus, but with an ominous undercurrent and some super distorted, deconstructed riffing roiling amidst thick swells of foghorn low end, and all manner of abstract black ambience. And the rest of the record is just as beautiful, continuing on in a similar darkdronedoom fashion, even the folks we didn't recognize (Jeffrey Roden, Steve Jolliffe, Column One) offer up some gorgeous slabs of bleak black drone dreaminess, so much so that it had us immediately seeking out more material by all of them... "
"The label headed by Mirko Uhlig - aka Aalfang Mit Pferdekopf - presents a high-level "compilation of drone music & dulcet atmospheres" by nine lead players of the game, originally intended to be released on vinyl but now issued as a full-length CD with three late additions. It's one of the best gatherings of drone-manipulating artists that I've ever heard, and you know that my heart is not tender with this kind of stuff. Keith Berry opens the dances with "The crossing", instantly setting the quality bar quite high: a simple elaboration of haunting atmospheres and extensions of silence is beautifully complemented by memories of children at play by the water of a calm sea or a lake, delicious field recordings ending the piece with a virtual deep sigh of melancholy. Fear Falls Burning uses a two-chord loop - it almost sounds like a flamenco progression - as a basis for an intriguing superimposition of cyclical guitars in "Everything was wrong". Dronaement explores the fascinating features of vinyl noise and extraneous suggestions with "Evocation (Phonorecord III)", an intelligent minimal composition made with a few well conceived touches. One of the best offerings comes from Troum, whose "Thrausmata Enos Oneirou" is the longest track here, a mind-consuming alternative dream between catathony and REM, muffled reverberations and morphing melodies accompanying the altered voices of invisible souls. Jeffrey Roden mixes organic sounds and crumbling recollections in the evocative "The seeds of happiness", which lets us spiral into oblivion after a few minutes of bliss, then ends with - yes - humming frequencies. Paul Bradley has never brought something under average to the table and his "Aurorean", a fetching cloud of static synthetic matter, confirms the rule. Steve Jolliffe's flute is reworked by Uhlig with a "redundant minimal development mix" in "One more haggard drowned man", a "sub-aquatic vs Jethro Tull" segment that I would see more useful on the Mystery Sea label than here, although it's overall quite nice. While Column One's "Live recording #3" is a little more than an intellectual (?) exercise, a creaky repetition of piercing squealing noise that effectively contrasts the other compositions, "White nights" by Richard Lainhart is a static mini-masterpiece where harmonically gorgeous layers of long tones put the audience in resonance with the surroundings, leaving us unhappy when the piece - and the album - is over. It's the record's best, together with Berry, Troum and Roden. The first 100 copies of "I, mute hummings" contain the bonus compilation "Mute scribbles", a CD with with eight tracks by Mirko Uhlig, Monostabil, Feu Follet, Tholen, Emerge, Brian Uzna, Aalfang Mit Pferdekopf and Balog. It's a nice present - Uhlig and Aalfang tracks being a head and a half in front of all the rest as far as depth and compositional dexterity are concerned - but not on the same level of the main CD, which is the one to have at all costs." "Ex Ovo is a relatively new entrant to the drone boutique label set, founded in January 2006 in Germany. The label's second release is a compilation with the odd title, I, Mute Hummings, subtitled 'A Collection of Drone Music and Dulcet Atmospheres.' The first hundred copies are accompanied by a limited CD-R entitled Mute Scribbles. The primary CD has a lot of the big names in the drone world. Paul Bradley and Keith Berry both contribute fairly short quiet drones. Both of these artists have released CDs with a single long piece, so to hear abbreviated versions is kinda comparable to the thirty-second snippets you get in eMusic or iTunes, but they are still very nice. Polish artist Dronæment includes a third installment in their hitherto vinyl-only Phonorecord series, which incorporates loops from the intro and outro sections of old vinyl, apparently because this compilation was originally slated for a vinyl release before switching over to CD. There is also representation from the guitar drone school, where the primary sound source is electric guitar. This compilation contains my first exposure to Dirk Bogarde's Fear Falls Burning project, which apparently is consuming more of his recent creative energies than Vidna Obmana, which is where I first learned of him. The duo Troum has done a number of guitar-based ambient projects before, most notably their Tjukurrpa trilogy. Their piece 'Thrausmata Enos Eneirou' on this album wouldn't be out of place on the Tjukurrpa Harmonies, with the addition of some open field recordings of wind and voices. Finally, an artist on I, Mute Hummings who is completely new to me is bassist Jeffrey Roden, a former chamber jazz player whose most recent solo work is a series of short improvisations which has recently been released on new music label New Albion. Here, one of these short improvisations has been remixed by the German artist Feu Follet (who also has a piece on Ex Ovo companion album). Although it starts out recognizably as a bass guitar, the instrument loses its identity, as the music slowly builds through a series of loops that fade in and out across eleven oneiric minutes. There are also a couple of electronic music pioneers who are represented. Richard Lainhart has long been a favorite of mine from his double album retrospective on XI, Ten Thousand Shades of Blue. Here he provides a short remix of his 1974 work White Night that successfully captures the feeling of the original and inhabits the same slow, shimmering sound world as the long works on his retrospective disk. Steve Joliffe, an early member of the proto-ambient group Tangerine Dream, provides the source for a 'redundant minimal development mix' from label boss Mirko Uhlig, which opens and closes with two unprocessed flutes, but whose central section, watery and grainy, might have used the flutes as source material (who really knows?). There is only one piece on I, Mute Hummings that doesn't live up to the promised dulcet atmospheres. Column One presents a live recording of piercing metallic scratches that jolts me out of the calm place where the rest of the album puts me. A collective based in Berlin, their work is quite serious, and the group places itself in the information/theoretical space similar to the Psychic TV and Fylkingen group in Stockholm. This is not the first compilation I've heard to put jarring sounds near the end of the album (Column One has the second-to-last track). One of the great Em:t ambient compilations included a sample from a horror movie of a woman screaming in complete fear — guaranteed to wake up the listener from whatever profound slumber the previous hour may have introduced. I've never been the biggest fan of this device. Mute Scribbles has many fewer big names, but it is every bit as ethereal as the first disk. The only name previously known to me is Emerge, who has a CD on Mystery Sea and a release on Drone Records. As it turns out, Aalfang Mit Pferdekopf is another of Uhlig's projects (he also has a piece under his own name on the bonus disk). The companion follows the strengths of the primary disk. One of the rationales for compilation disks like this is to expose listeners to new artists and new labels, and these two compilations have succeeded on both counts. It will be interesting to follow Ex Ovo for future releases. Their web site has links for all of the artists on both comps, which in turn have links to the artists' sites." "One has to have a lot of guts to start a new label in an era where illegal digitalisation and distribution of audio material is a daily internet activity of youngsters. But it has to be said that Mirko Uhlig (Aalfang mit Pferdkopf) and Tobias Fischer (Tokafi magazin) did the right thing when they decided to start the Ex Ovo label in the early days of 2006. Their main goal is to be occupied with sounds and emotions or maybe even better - as the subtitle of the first CD states so eloquently - to create "a collection of drone music and dulcet atmospheres". Nine tracks in almost 80 minutes is the result of their first output "I, mute hummings". These are indeed atmospheres, like for example in "The Crossing" by Keith Berry, as well as loop-based drones (Dronaement's "Phonorecord III"). Other gorgeous tracks on this album are from Column One who present a soundscape with minimal metal- scrapings and sounds which are literally on the edge of creating feedback-loops. The masters of drones, Troum (counting amongst them the owner of Drone Records), are present with "Thrausmata Enos Eneirou" which creates a dreamy atmosphere for almost a quarter of an hour. But this is not all there is, because there is more... So much more. Jeffrey Roden's "The Seeds Of Happyness" is a great piece solely made from sounds created with a bass guitar. Also, Steve Jolliffe, who has been a member of the legendary Tangerine Dream, plays flute which after recording was manipulated by label-owner Mirko Uhlig. The result received the name "One More Haggard Drowned Man (Redundant Minimal Development Mix By Mirko Uhlig)" and it must be said that even though it is not the easiest music to listen to, or to dream away to, the result is epic. On the Ex Ovo website, Mirko and Tobias invite artists to send their demo to them with these words: "We don't care if you're well- known artists with hundreds of albums out or someone before his great debut - only music counts here". This statement is what this compilation CD depicts very well. Only music. (8,5/10)"
"A collection of drone music and dulcet atmospheres – such is the subtitle of this compilation cd of the young Ex Ovo Records. This is the sisterlabel to Einzeleinheit of Tobias Fischer and is led by him and Mirko Uhlig, the man behind Aalfang Mit Pferdekopf. The compilation has unknown artists to me such as Keith Berry and Jeffrey Roden, but also more known names in the world of drone ambient sounds such as Troum, Marcus Obst aka Dronaement or Fear Falls Burning, a side-project of Dirk from VidnaObmana. The latter name knows how to grab my attention with lovely soothing melancholic vintage guitar sounds in ‘Everything Was Wrong’. Dronaement combines the sound of a softly crisping LP with nice sounds of which some resemble the sound of grasshoppers in a summer night in ‘Phonorecord III". The Troum composition ‘Thrausmata Enos Eneirou’ is very beautiful, hypnotising and mysterious. Jeffrey Roden surprises with more uplifting sounds. A warm and soft effect also have the flutes in 'One More Haggard Drwoned Man’ by Steve Jolliffe. This does not go for the scraping sounds of Column One in a live recording. Richard Lainhart sets it straight again with sounds that don’t seem to come to an end in ‘White Nights’. I, Mute Hummings is a quality compilation. Recommended to the lovers of drones or people who like to get familiar with the Ex Ovo label. (8/10)"
"untertitel: "a collection of drone music and dulcet atmospheres". release #1 auf dem label des aalfang mit pferdekopf machers mirko uhlig und mit beiträgen von fear falls burning, dronament, troum und column one (um nur ein paar plakative namen zu nennen) auch gleich hochkarätig besetzt. ursprünglich als vinyl geplant, aufgrund der menge der eingegangenen beiträge jedoch zur cd mutiert, bieten insgesamt 9 beiträge einen 2006 blick auf den obigen themenstand. und es fällt schwer, hier highlights zu nennen, gerade bei dem vorliegenden, da es mirko uhlig gelungen ist, einen qualitativ sehr homogenen sampler zu erstellen, ohne die bereiche gleichmacherei und langeweile auch nur zu berühren. das einzige, was zumindest mich stört ist die im vergleich zu den sonstigen beiträgen doch krass kontrastierende direktheit des ffb-titels "everything was wrong"; vielleicht wäre der an anderer stelle der cd besser aufgehoben gewesen. sehr schön dagegen übrigens der abschlusstrack "white nights" (remix) von richard lainhart. für nur 2 euro mehr gibt es für die schnellen die "mute scribbels" als schön gestaltete cd(-r) dazu und im gegensatz zum hauptwerk, wo mirko uhlig "nur" als remixer des steve jolliffe-tracks in erscheinung tritt, bekommen wir dann auch ein stück von aalfang mit pferdekopf und eines von ihm unter seinem richtigen namen. "A while ago we reviewed an excellent CDR release by Mirko Uhlig called 'Vivmmi' (see Vital Weekly 525), which should be re-released on a CD is my humble opinion. Back then I though that the Ex Ovo label was merely a vehicle to release this work, but much to my pleasant surprise I receive now 'I, Mute Hummings' a real CD, a compilation, along with a CDR that comes with the first 100 copies. Maybe Ex Ovo will be a real label, and maybe they will consider putting ' Vivmmi' out as a real CD? The subtitle of the compilation is 'A Collection Of Drone Music And Dulcet Atmospheres', and it brings together some of the more known players in the field (or perhaps even the true stars, such as Troum), but also people like Jeffrey Roden, Dronaement, Rochard Lainhart and Steve Jollife, who played on 'Cyclone', a 1978 record by Tangerine Dream. Some of the contributions sound exactely like we expect them to do, like the guitar humming of Fear Falls Burning, Troum's psychedelic sounding space or Keith Berry or Paul Bradley's darker than life music. All of high quality, even when a bit predictable. The interesting pieces comes from Dronaement, with processed voices (or should it possesed voices?) and crackling vinyl, Jeffrey Roden's guitar playing on the veranda, Steve Jolliffe's flute playing in a onkyo meets drone style mix (courtesy of Mirko Uhlig) and Column One providing the harshest tones in a piece that sound like Organum circa 'In Extremis'. Richard Lainhart's 'White Nights' closes the CD, but it sounds too much like regular ambient music to me. And if the first seventy-seven minutes aren't enough, there is the possibility of ordering 'Mute Scribbles', another seventy-two minutes of highly similar music, but by people that are lesser known, and who all have releases on CDR labels, such as Einzeleinheit (like Mirko Uhlig, Brian Uzna, Feu Follet) or Verato (like Emerge). Throughout the pieces here things seemed a bit more minimal and less worked out than on 'I, Mute Hummings'. Field recordings and synthesizer hummings play an important role in these pieces, but without much development, at least most of the times. Not that I think this is a great problem, since these are mighty fine pieces too. 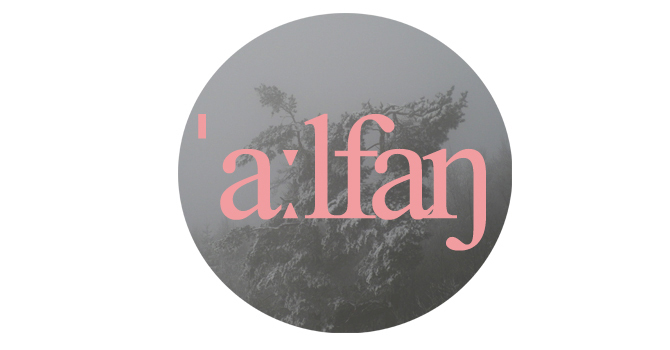 The best here is by Aalfang Mit Pferdekopf, who cleverly waves ambient patterns together with CD skippings. Not in an Oval-like manner, but as 'mistakes'. A fine piece. And the complete thing is a long trip in the darker underworld of sound. Some names are missing, like the complete UK scene, but it offers many new names instead. In terms of drone music a fine and steady release." "Das von Mirko Uhlig begründete Label Ex Ovo hat sich auf die Produktion von ambienter und experimenteller Drone-Musik spezialisiert - ungeachtet der Nähe zu Drone Records, die mit der Einbeziehung von deren Hausband Troum auch offen eingestanden wird. Was hebt diesen Ambient-Experimental-Sampler nun aus der hohen Zahl ähnlicher Alben der letzten Jahre heraus? "I, Mute Hummings" versucht einen Brückenschlag zwischen der Tradition dieser Klangkunst und aktuellen Versuchen, zwischen alten Moog-Sounds, Field Recordings und Computer-Kreationen. Vom dunklen Klangteppich (Keith Berry, Troum) über experimentelle Collagen (Dronaement, Column One) bis hin zu bearbeiteten Gitarrenakkorden (Fear Falls Burning) oder Bassanschlägen (Jeffrey Roden) reicht das Spektrum. Mit Steve Joliffe ist zudem ein Pionier der elektronischen Szene dabei: Er musizierte auf "Cyclone" zusammen mit der deutschen Legende Tangerine Dream. Die Erstauflage dieser liebevoll zusammengestellten CD im Aquarell-Artwork ist zudem mit einer CD-r ausgetattet, die jüngere Vertreter des Genres fördert (Aalfang mit Pferdekopf, Feu Follet u.a.). Fazit: Eine schöne und fast schon entspannende CD, abwechslungsreich im gebotenen Rahmen, präsentiert mit Sinn und Respekt für die Geschichte der eelektronischen Musik und für Darkambientfans durchaus empfehlenswert. Hallende Choräle oder ähnliche apokalyptische Bezüge wird man hier jedoch vergebens suchen..."
"Dunkle, zähe Synthie-Schwaden ziehen auf. Schwer durchsichtig. Leicht neblig. Nach einigen Sekunden erkennt man ein Platschen im Wasser. Dazu leise Maschinengeräusche. Diese Sounds durchziehen den Opener "The Crossing" von Keith Berry. Gegen Ende wirkt das Wasser immer näher, die Töne werden klarer und wir hören sogar zarte Stimmen. Im Beitext beschreibt das Label Ex Ovo das Album "I, Mute Hummings" als "collection of drone music and dulcet atmospheres", vorgetragen durch unterschiedlichste Geräuschtüftler. Eine, wie ich finde, durchaus treffende Beschreibung. Mal hören wir verzerrte Rundfunkansprachen, untermalt mit seltsamen Melodien (Dronæment − "Phonorecord III"), die zum Entspannen und Zurücklehnen anregen sollen. Doch bleibt ein unbehagliches Gefühl zurück. Die vermeintliche Ruhe scheint trügerisch. Zwar werden die Songs auf "I, Mute Hummings" nie besonders aggressiv (Ausnahme: Column One − "Live recording #3") oder melodiös und bleiben meist im dröhnenden Ambient-Bereich, doch brechen aus der maschinell-verstörenden "Schein-Ruhe" immer wieder verschiedenste Instrumente und Melodie-Fetzen aus. Ex-Tangerine-Dream-Mitglied und Synthesizer-Pionier Steve Jolliffe verwendet in seinem Song "One More Haggard Drowned Man" (im Ex-Ovo-Chef Mirko-Uhlig-Mix) beispielsweise einen orchestralen Beginn, bevor die Stille einsetzt, die schließlich den dröhnenden Flächen den Platz bereitet, damit an das Thema des Albums erinnert wird ("collection of drone music"). Die angesprochene Ausnahme bilden Column One, die dem Noise in vollen Zügen Freiraum gewähren. Pfeifende Maschinen, quietschende, ungeölte Scharniere, kochende Atmosphären − hier wird keine Rücksicht auf zarte Hörbedürfnisse genommen. Auf der anderen Seite hören wir meistens einen interessanten Mix. Hier bekommen wir Verkehrsgeräusche, durch welche sich verspielte Instrumente den Weg zu bahnen scheinen (Jeffrey Roden − "The Seeds Of Happiness"), zu hören. Dort kommen kräftige Orgeln zum Einsatz, die durch zartere Melodien unterbrochen werden (Paul Bradley − "Aurorean"), als würden die Post-Rocker von Mogwai auf Neo-Klassik treffen. Dass moderne Ambient-Musik dabei nicht unbedingt nur elektronisch sein muss, zeigen uns Fear Falls Burning ("Everything Was Wrong"). Der Song ist mit einer Gitarre versetzt, die aus dem "Kill-Bill"-Soundtrack ausgebrochen zu sein scheint. Im Hintergrund rumoren verzerrte Gitarren, die die Hauptgitarre gekonnt einbetten. Auf "I, Mute Hummings" machen alle Künstler einen sehr guten Job und richten sich größtenteils nach dem Thema des Tonträgers. Das deutsche Projekt Troum macht dessen Sache allerdings besonders gut. Somit stellt "Thrausmata Enos Eneirou" den Höhepunkt dar. Für über 12 Minuten werden wabernden Sound-Dronen, flirrenden Maschinengeräuschen und verführerischen Chören, die wirken, als wären sie hinter einem tödlich prasselnden Wasserfall, die Bühne bereitet. So gestaltet sich "I, Mute Hummings" zu einem echten Geheim-Tipp für Freunde gepflegter Ambient-Musik, sowie Noise-/Industrial-/ & Post-Rock-Anhänger. (6,5/7)"
"In dieser Rezension möchte meine Person, nicht ausschließlich auf das Release “V.A. – I, Mute Hummings” eingehen, sondern unserer geneigten Leserschaft einen kleinen Überblick über den relativ neugegründete Tonträgerverlag “EX OVO Records” verschaffen. Die beiden “Musikverrückten” Mirko Uhlig (Aalfang mit Pferdekopf) und Tobias Fischer (Einzeleinheit, Feu Follet, tokafi.com) gründeten EX OVO Anfang 2006, um den Klängen des Drones eine neue Plattform zu bieten. Die Herren legen sich nicht auf ein starres Ausgabeformat fest, sondern möchten Ihre Publikationen in Form von Vinyl, CD oder CDR der Kundschaft zugänglich machen. Die “Gründerväter” suchen noch ambitionierte Projekte, die ihre Werke auf EX OVO veröffentlichen möchten, bei Interesse bitte den Menüpunkt “About” auf der Webseite anklicken und den erwünschten Kontakt herstellen. Diese Compilation “I, Mute Hummings”, der zweite Tonträger aus dem Hause “EX OVO Records” bedarf einer genaueren Beleuchtung. Der Titel “I, Mute Hummings” alleine impliziert schon, welche Art von Sounds der geneigten Hörerin bzw. dem geneigten Hörer geboten werden. Die eindeutige deutsche Übersetzung scheint “Ich hörte summen” zu sein. Die Liebhaber des Drones können dieser Bezeichnung, meiner Ansicht nach, in den meisten Punkten zustimmen. Der in der Betitelung verwandte Terminus zieht sich durch alle Stücke des Opus. Die Besetzungsliste von “I, Mute Hummings” ließt sich wie folgt: Keith Berry, Fear Falls Burning, Droneament, Troum, Jeffrey Roden, Paul Bradley, Steve Jolliffe, Column One und Richard Lainhart. Personen, die bisher den Drones nichts abgewinnen konnten, können diese CD definitiv auf ihrer Einkaufsliste streichen. Diese Zusammenstellung ist für absolute “Freaks” konzipiert worden und weicht ab vom System anderer, die versuchen eine breite Masse zu bedienen, diese Gemeinschaftsarbeit konzentriert sich auf den Personenkreis, der anspruchsvolle bzw. intelligente Klänge sucht. Bei dieser CD, jeden Track für Sie analysieren zu wollen steht nicht in meinen Kräften, aber einen Anspieltipp möchte ich Ihnen nicht vorenthalten. Das Tondokument ‘Everything Was Wrong’, von Fear Falls Burning, mit seinen wunderbaren Gitarrenspuren überzeugt auf der ganzen Linie. Die CD erscheint im Jewel Case Format und echte Fans können noch gegen geringen Aufpreis von 2 Euro, eine Bonus CD “Mute Scribbles” mit weiteren außergewöhnlichen Drones bekommen. Nur bei uns im damaligen Feindesland.de fanden Sie eine ausführliche Besprechung zur zusätzlichen CD “Mute Scribbles”. Eine hervorragende Compilation aus der Klangschmiede “EX OVO Records”, wenn dieser beschrittene Weg weiterhin strebsam gegangen wird, dürfen wir uns über ein weiteres Untergrundaushängeschild in Deutschland freuen. Dieses dargebotene Medium ist für die breite Masse nicht zu empfehlen, hingegen für Freaks ein Pflichtkauf."